I’m at the downtown Los Angeles location of Orangetheory, the wildly popular fitness boutique franchise dedicated to intense heart rate-driven workouts. You may have seen one where you live, with its Nickelodeon-like orange splat logo out front and glowing lights within. You may even have confused it with a nightclub; it’s not, but from Omaha to Anchorage, they’re all the rage. My trepidation must be palpable if a bystander feels the need to comfort me. And, honestly, I am nervous— despite being in shape; I do a weekly spinning class, Pilates, and the occasional trendy workout. But this group training session looks serious. There are two dozen of us, split into two teams, about to start rigorous drills on cardio equipment, free weights, balance trainers, and resistance bands. While one group works on treadmills, the other alternates between circuit floor stations and water rowers. Throughout the hour, we sport heart-rate monitor straps that send our numbers to the screens up above. Surprisingly, I keep up with the others during the intimidating yet accessible regimen, which perhaps explains its cult status—700,000 members and climbing. The nine-year-old company says it is the fastest-growing fitness franchise in the world, with 875 studios across the U.S. and 999 worldwide. The heart rate monitors, meanwhile, track one’s anaerobic threshold,i.e., “afterburn,” the point where you reach 84% or 85% of your maximum heart rate and thereby increase your metabolism for the next 24 to 36 hours. This is what they deem the “orange zone.” The goal of each 60-minute class is to accumulate 12 minutes or more in this zone. Huge screens display where each member lies on the color board: blue (61%-70% of your maximum heart rate), green (71%-83%), orange (84%-91%), and the elusive red zone (92%-100%). Fitness gamification–the art of applying competitive points during your workouts to encourage motivation–is nothing new. The behavioral strategy is the basis of cult favorites like indoor cycling club Flywheel, home app Peloton, and of course, Fitbit. It’s been called the future of health and wellness, the savior of boring workouts, and the only thing to get millennials off their tushes. These nifty heart rate gadgets ensure one competes, essentially, against their own capabilities. The intensity level is as personalized as it can get, with one’s body setting the parameters. There’s no guesswork involved. But perhaps more importantly, it offers instant feedback–and immediate gratification. 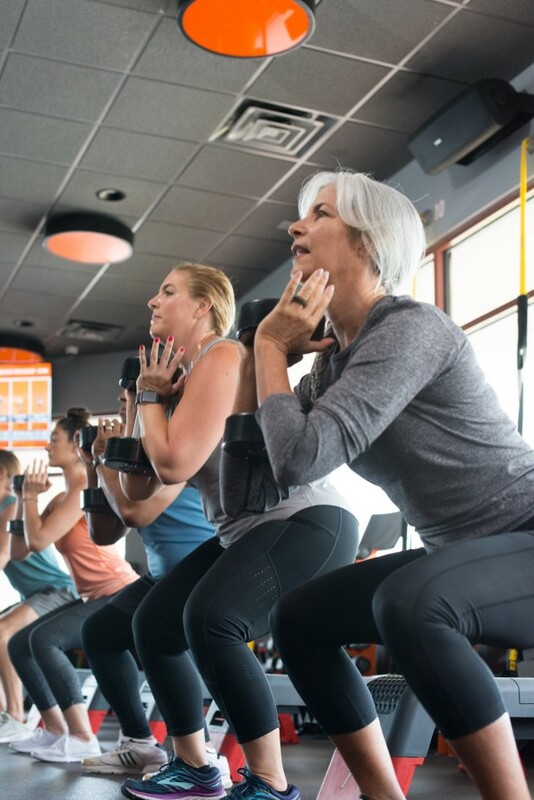 Orangetheory cofounder Ellen Latham was a trained physiologist who taught aerobics for nearly 40 years when she opened her own Pilates studio in 2006. Although her business fared well in Ft. Lauderdale, Florida, clients often complained of needing to supplement the class with cardio. “They were coming to me, asking, ‘What can I do for fat burning that will be as effective as teaching the body to respond to Pilates?’” recalls Latham. The feedback ultimately inspired her to open a bigger studio that could accommodate all a client’s fitness needs—one dedicated to “the ultimate metabolic workout.” It would have heart rate training, cardio, a power component, and muscle building. In 2008, Latham opened her new creation, “Ellen’s Ultimate Workout,” which was essentially the first iteration of Orangetheory. She used scientific studies to combine workouts specifically to reach afterburn. The post-exercise oxygen consumption meant clients burned 15% to 20% more calories following the workout. If you burned 500 calories in class, you’d shed another 100 more calories within the next day. “Not huge, but that adds up,” says Latham. The budding entrepreneur also saw a group of people who were mostly intimidated by aerobic classes, believing they were underperforming in comparison to those around them. Latham wanted to put the emphasis on the individual—backed by data. In the treadmill section of the workouts, for example, she stressed that people could walk, jog, or run, based on their capabilities. In lieu of group scoring, heart rate monitors would only track each member’s’ personal progress. Within months, there were waiting lists. Lathan instantly knew she her workout filled an industry void. When a customer remarked, “One of these has to be on every corner,” the fitness founder started to map out her future. In 2010, Latham brought on cofounders Jerome Kern and David Long, who now serves as CEO. She then did the opposite of what most companies do: The brand started in small suburban communities–first in Florida, followed by Arizona. Despite successful franchise numbers, the trio halted growth within the first year. The cofounders decided they needed to focus on redeveloping internal structure and building stronger educational systems, specifically how the complex workouts were constructed and taught. The newly formed company went to work composing its own fitness language to ensure it was both understandable to the trainer as well as the consumer. By 2012, Orangetheory expanded to 11 states. By 2015, there were 300 studios, with international locations in Australia, the Dominican Republic, and Mexico. By last year it was deemed one of the fastest-growing women-owned businesses—and the fastest-growing fitness franchise. The average drop-in class averages $28, though price varies based on location. Consumers, meanwhile, particularly appreciate the small, boutique feel, a trend that now dominates the fitness landscape. “They don’t walk in a gym where there’s different employees all the time,” says Latham. 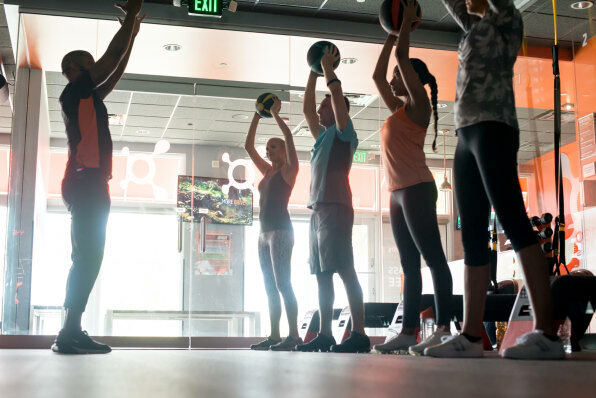 Orangetheory has since expanded to include a headquarters lab led by clinical exercise physiologist who designs the workouts. They send out 90 workouts a month to their franchisees. Franchises “don’t have to do much work,” promises Latham. Orangetheory isn’t slowing down: The Boca Raton-based company will soon open its 1,000th location in Portland, Oregon. California and Texas have the most locations. In 2017, it saw over $738 million in profit, a nearly 40% increase from the year prior. Females compose 80% of members, but the company sees rapid growth with men, many of them CrossFit devotees. And more growth is on the horizon and the company continues to invest in research: It just hired a dietitian to expand a nutrition section that will pair diets with workouts. But don’t expect it to stray from workouts built around the afterburn fitness theory. For instance, it won’t open a yoga studio, no matter the demand. The studios will remain devoted to intense workouts. 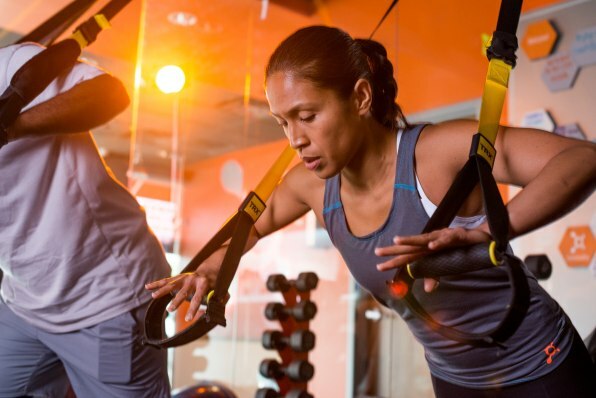 Despite its wild success, Orangetheory stresses it’s not the end-all of workouts. It might encompass various types of exercise, but instructors encourage members to seek out a full range of styles. “We like to refer to our workout as the multivitamin . . . Other workouts, like yoga, ballet barre, are single vitamins,” says Latham. 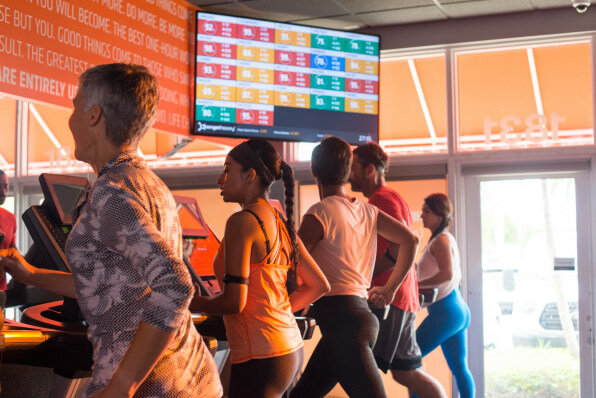 Latham is confident Orangetheory will only solidify itself as a household name, the same way companies like Crunch have. The only challenge is helping newbies like me overcome our initial intimidation. “I’m always encouraging people to go give it a try, even if you think you can’t do it,” she says.